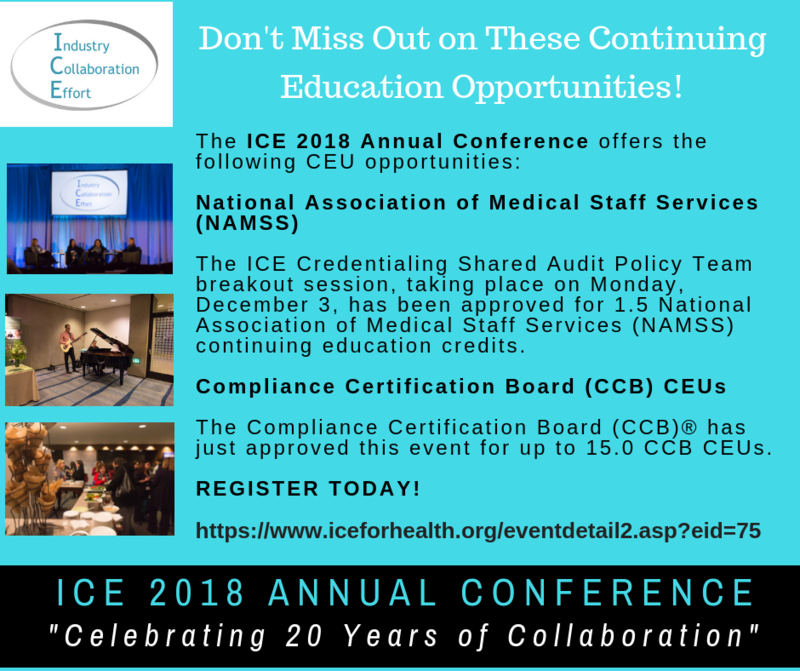 ICE 2018 Annual Conference - Continuing Education Opportunities! Subject: ICE 2018 Annual Conference - Continuing Education Opportunities! To access the online registration system, which closes on Friday, November 30, click here.